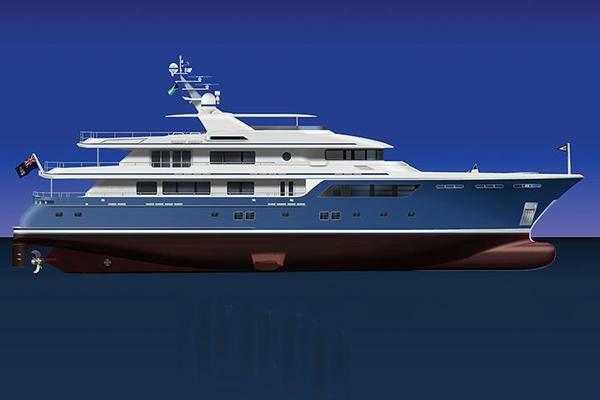 TheENDURANCE 50 is the sister vessel to ENDEAVOUR 2, a tri-deck explorer super yacht recently launched by Rossinavi in Viareggio and ordered by an experienced yachtsman. Following over two decades of yacht ownership, the vision of this extraordinary yacht was born through the desire to explore the far away and lesser known coasts and oceans of this world. Full displacement and full aluminium. Hull No 1 is under construction at Rossinavi. ENDURANCE 50 is an opportunity to own an elegant,seaworthy super yacht of the highest quality with a delivery time of 26 months from signing the build contract. United Yacht Sales New Jersey would love to guide you through a personal showing of this 160' Rossinavi Endurance 50 2017. This yacht for sale is located in Unknown Italy and priced at $27,500,000. For a showing please contact us by filling out the form on this page and we will get back to you shortly!